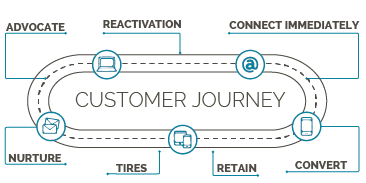 Aftermarket shops that use Direct Market have increased their customer retention rates by 70% or more versus shops that do not engage in targeted, customer retention marketing. If you would like to learn more about Direct Market, please call us directly at (800) 745-9649 or Request More Information at the bottom of this page. Direct Mail – Create and send coupons, special offers, seasonal promotions and more. Direct Email – Generate immediate response with templates and formats readable on any device. List Appending – Add valid, deliverable email addresses to your marketing database on a monthly basis. List Maintenance – Regularly validate each customer mail and email address and keep your database clean. Multi-Channel Marketing – Send combo campaigns using both mail and email to increase response. With Direct Market shops will see real, measureable results from every marketing dollar spent, while keeping customers coming back for regular routine maintenance, oil changes and tire services. In addition to the marketing campaign platform, Direct Market customers also have access to a comprehensive marketing dashboard to monitor and measure their campaign performance and spend. Campaign response rates can be tracked by individual communication, audience, date range, offer, message and more. For shops with multiple locations, reports can be run by individual shop or rolled up to a single report across all shops in the network. And reports are updated daily, so the results you are looking at are always current. This kind of timely reporting power will allow your shop to make marketing changes in real time, allowing you to boost the areas of your service and repair business that are the most profitable or need the most help. If you would like to speak with someone about bringing Direct Market to your aftermarket repair shop, please complete the form below or call us directly at (800) 745-9649. We look forward to hearing from you!